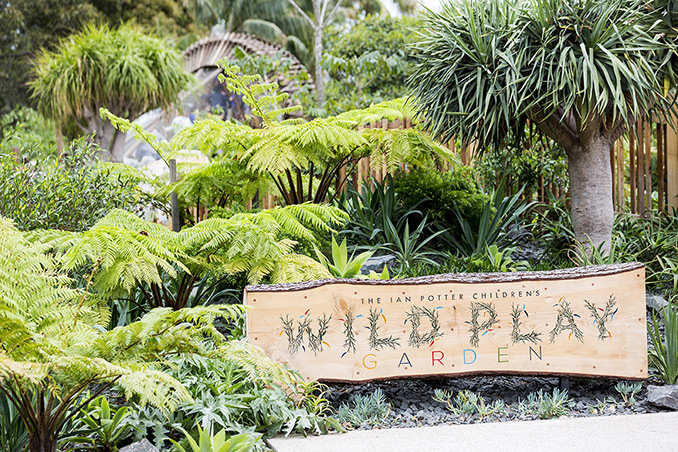 The Ian Potter Children’s WILD PLAY Garden by ASPECT Studios was officially opened in October 2017 by NSW Minister for the Environment, Local Government and Heritage, Gabrielle Upton. 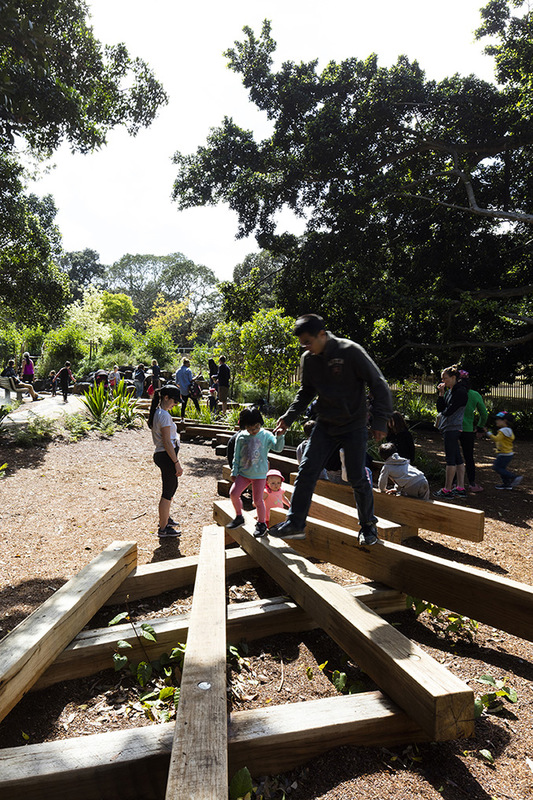 Located within Centennial Parklands Learning Centre, WILD PLAY is designed as a learning experience for kids of all abilities aged 2-12. 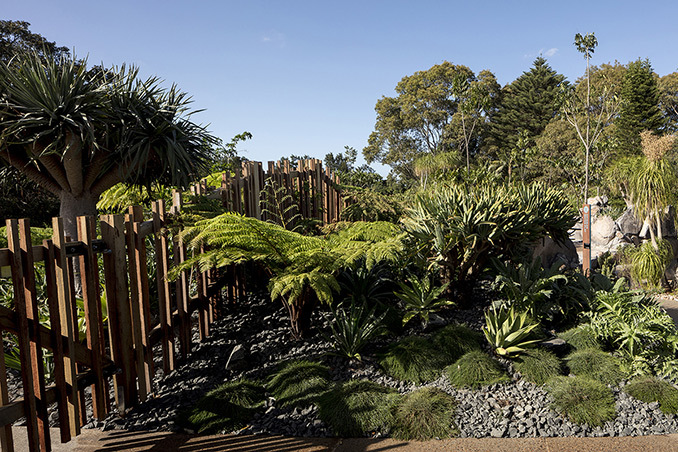 Its botanical adventure covers 6,500 square metres (approx. 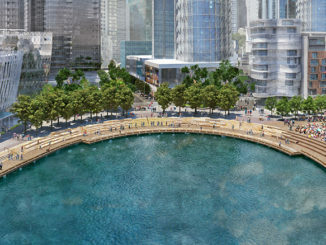 70,000 square feet) with tracks and trails winding through densely planted mounds of shrubs and trees, with existing fig trees incorporated for seating and shade. 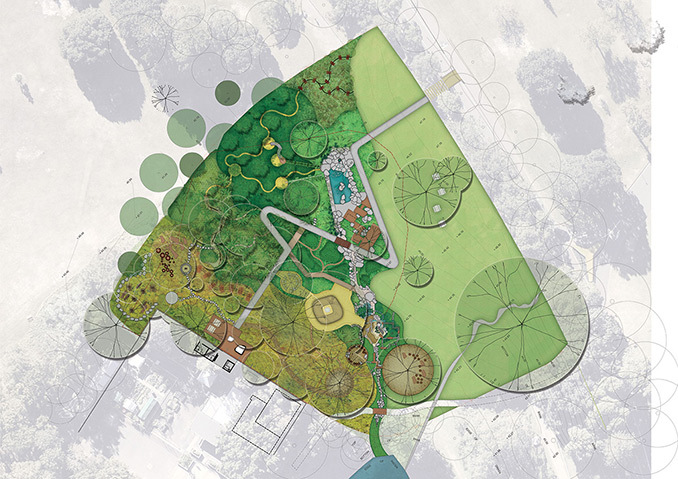 This is one of ASPECT Studio’s most densely vegetated landscapes to date, with over 12,700 trees, shrubs, succulents, grasses and ground covers planted, to mature into unique plant communities that define the different play spaces. 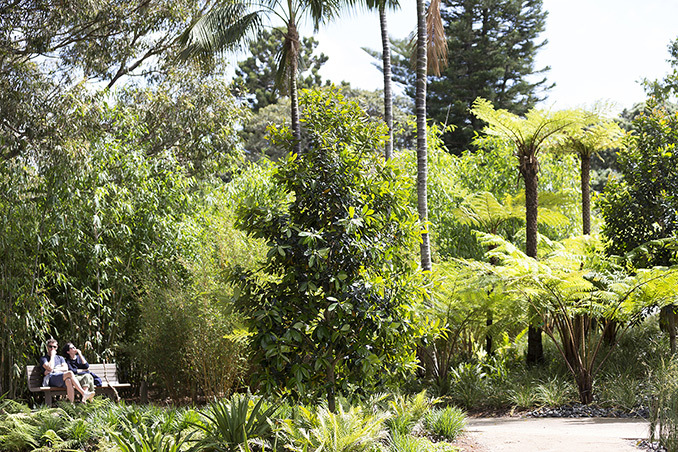 Of the 22 trees and 57 plant species used, in what Coles calls a “weird and wonderful palette”, more than half are native to Australia, most of which are endemic to Sydney. 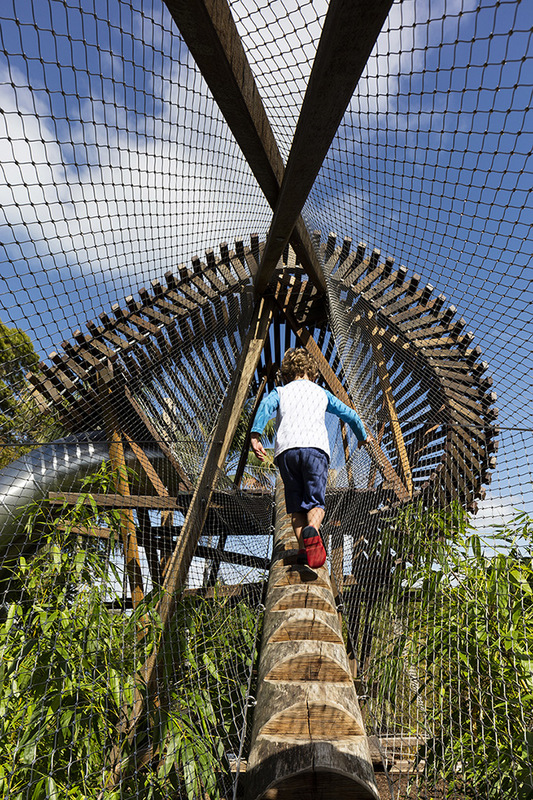 WILD PLAY lets kids adventure through an artesian water basin of creek beds and fountains, tunnel their way through thick bamboo, navigate a balancing course in the form of an ‘eel’, snaking its way around fig trees, or cross a swing bridge and test their mettle climbing a treehouse. 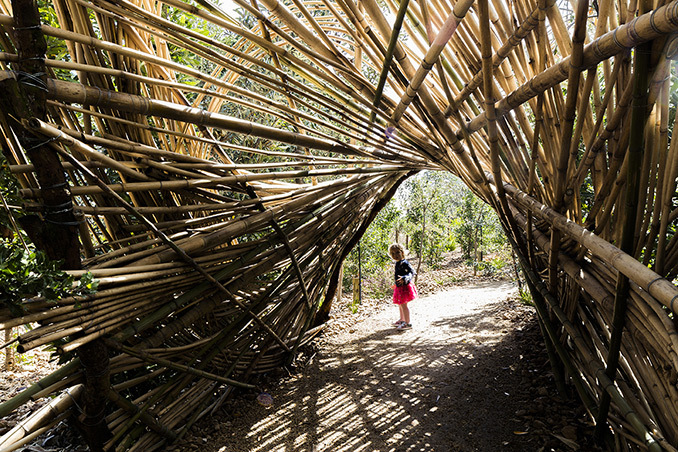 “Kids like discovery, challenges, movement and adventure. 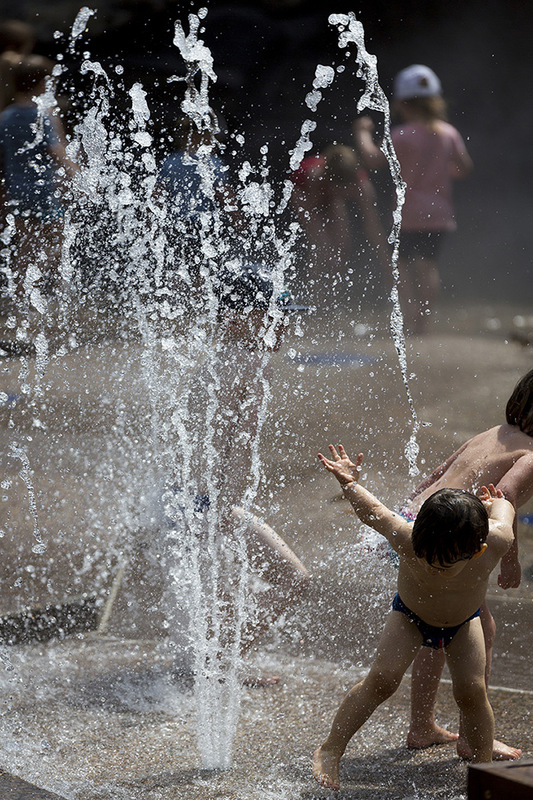 They thrive on being in nature – playing with water, climbing trees, jumping through puddles, hiding in trees. 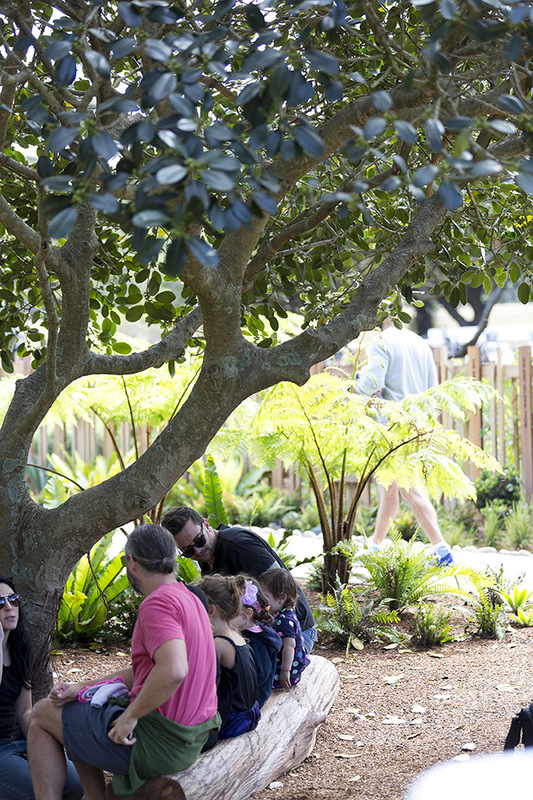 We know this instinctively as parents, and as designers we build these observations into our work,” says Sacha Coles – ASPECT Studios Director. 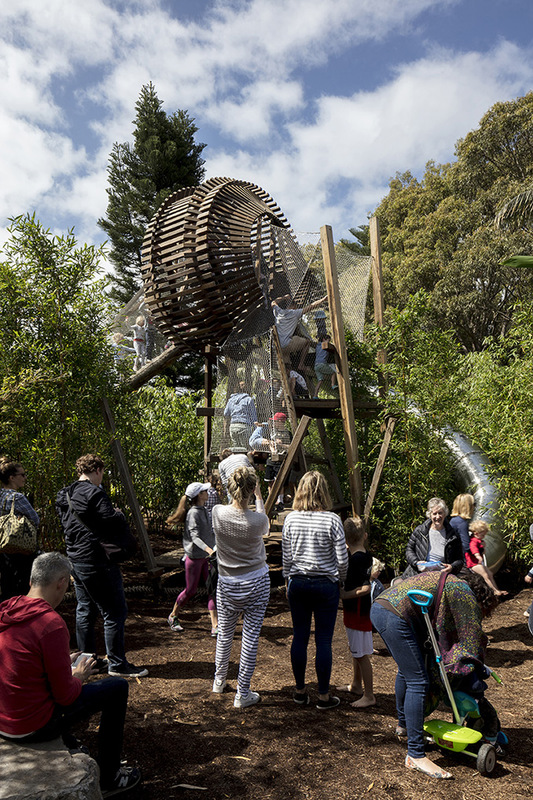 Three years in the making, WILD PLAY was created with support from the Ian Potter Foundation, whose Children’s Garden at the Royal Botanic Gardens Melbourne, has been a popular drawcard since opening in 2006, attracting 207,000 visitors into the gardens in 2016 alone. 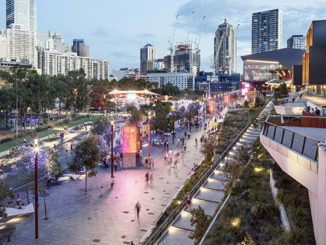 A shared goal between the Foundation, Centennial Parklands and ASPECT Studios is to promote innovation and excellence, with a focus on community health and learning, and in particular – encouraging active, inquisitive kids. 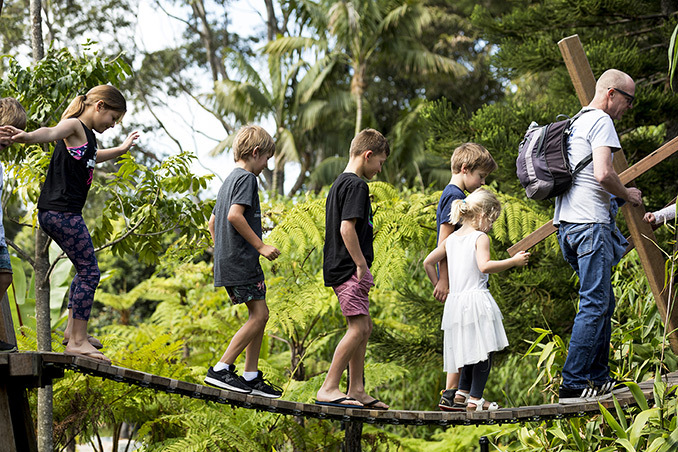 Anecdotally, we know that children’s relationship to the outdoors has been steadily slipping since the dawn of the digital age. 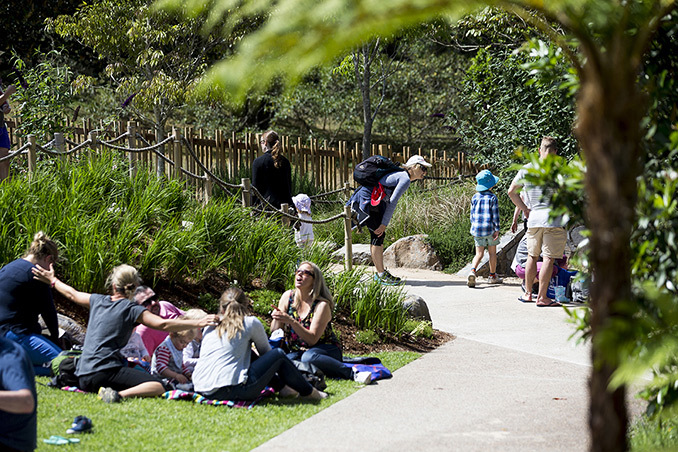 In 2010 Planet Ark estimated that only 35 percent Australian children play outside every day, compared to 72 percent a generation ago. 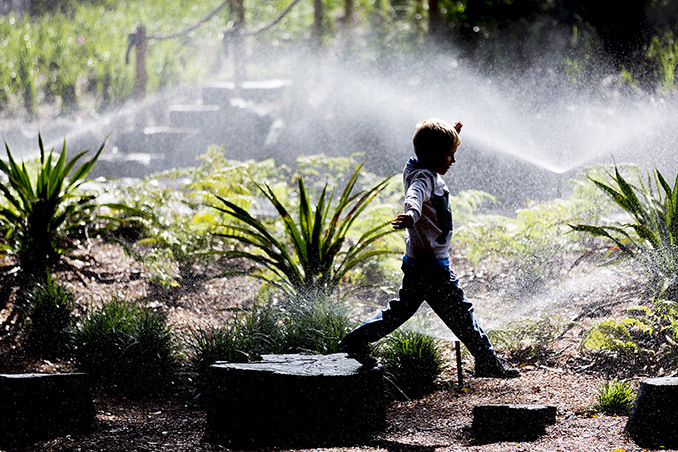 Parents and educators call it ‘nature deficit disorder’, and its effects are detrimental. 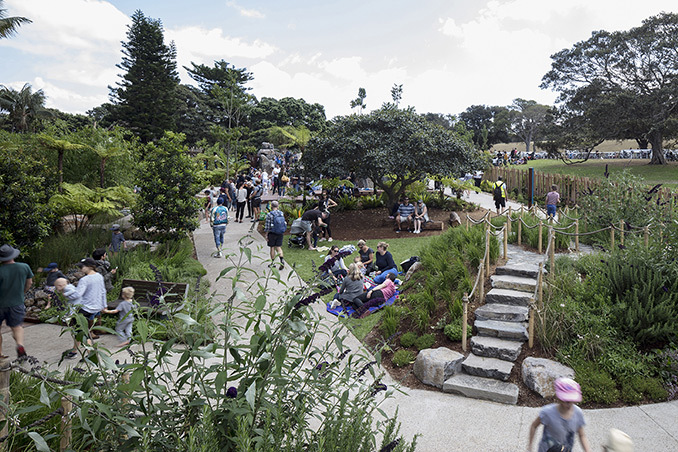 Conversely, Anthony Dunsford, the Director of Visitor Experience at Sydney Botanic Gardens and Centennial Parklands says the benefits of exposure to natural environments can’t be underestimated. 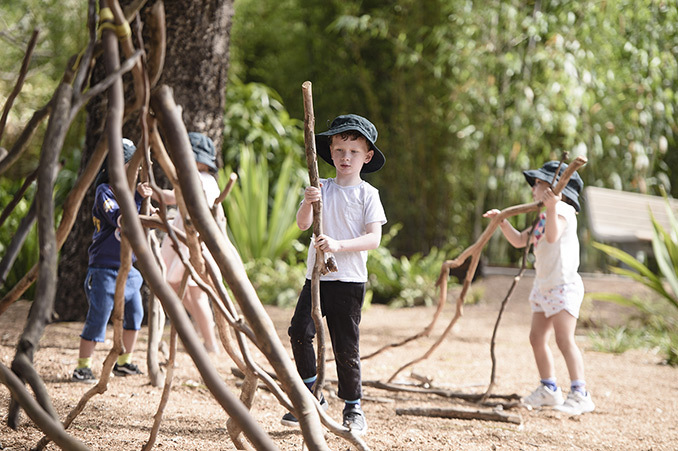 “Unstructured play is essential for healthy development of children because in it, they ‘explore’, and are driven by their own interests and imagination. 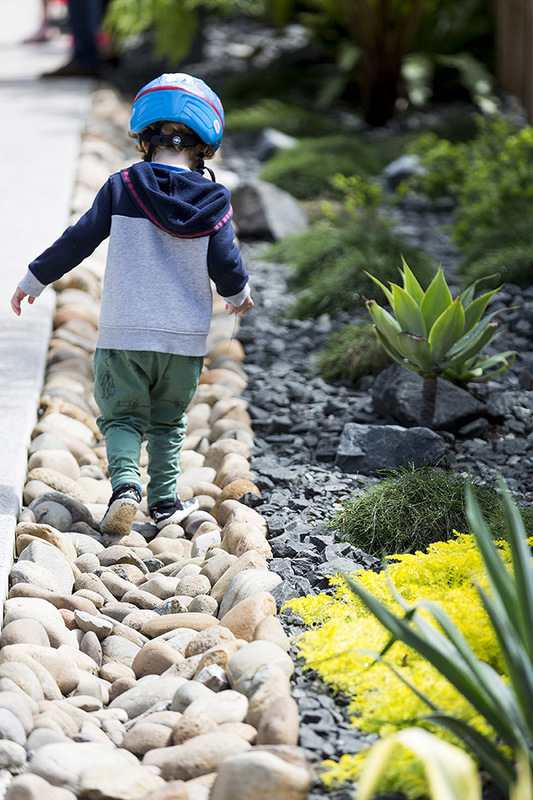 Through trial and error, children teach themselves how to navigate a pathway, take manageable risks and help others along the way. 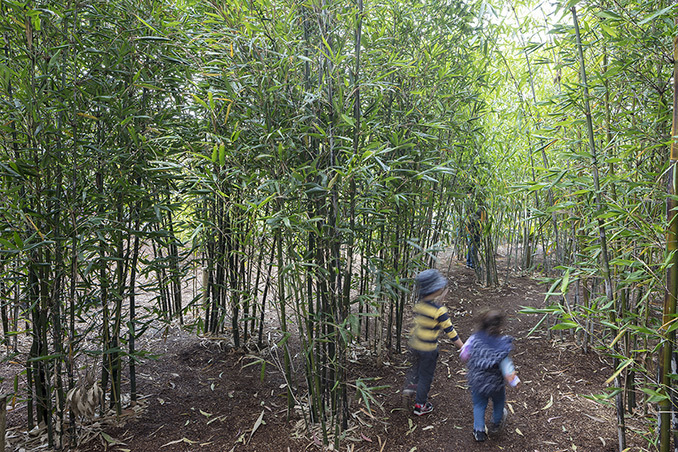 These formative opportunities are being lost for a variety of reasons – a lack of access to nature, fear of risk, and over-scheduling of children’s free time,” says Dunsford. 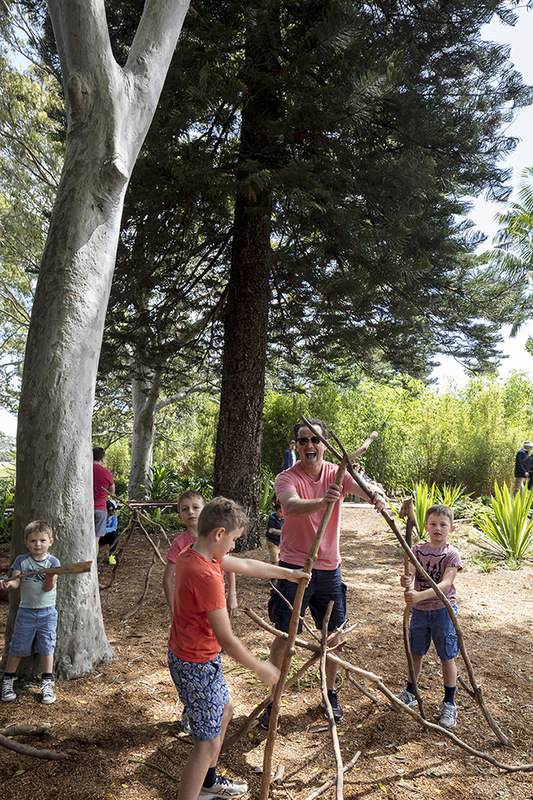 With around 100 primary schools, 100 childcare centres and 58 Out of School Hours Care centres within 15 kilometres of Centennial Parklands (many of which have no outdoor play areas or natural features) WILD PLAY is a welcome addition to the early education landscape of Sydney.